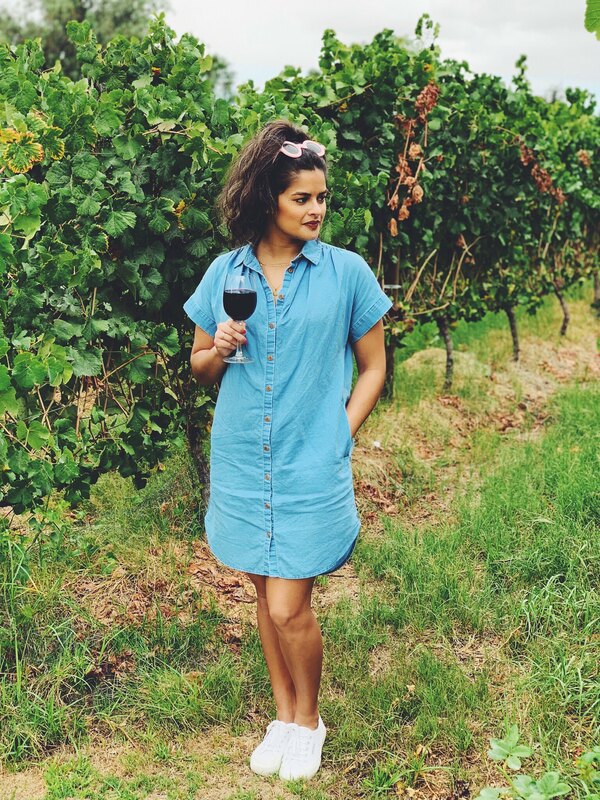 Priya the Blog | life & style in Nashville & beyond! South Africa had been at the top of my travel list, but only because both of my sisters had gone in the past few years and RAVED about it. Otherwise, honestly, it's random and far away enough that I don't know if I ever would have considered going. 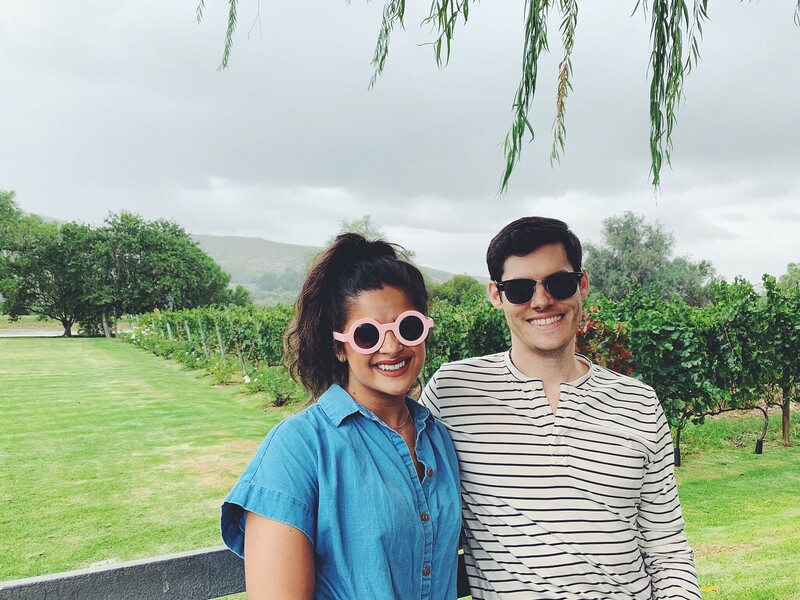 So when our friends Landon & Heather moved to Cape Town last Summer, it was kismet, I literally said to them "we'll be there as soon as we can!" 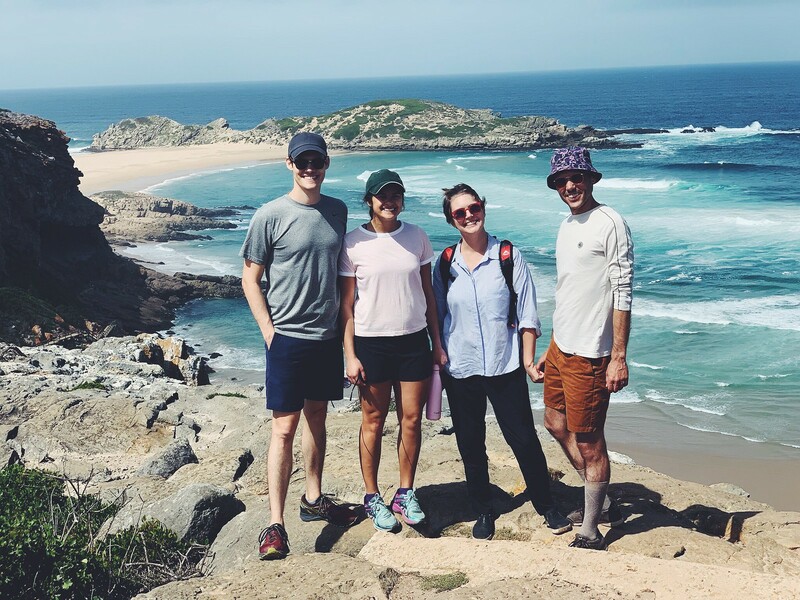 We made several day trips around things that L&H had planned - an incredible hike in Plettenberg Bay with lots of seals (below), exploring the coastal village of Knysna complete with a sunset oyester cruise (outfit post to come), a cave tour and wine tasting and many winedowns on our decks. After the days activities, L&H, who are the king and queen of leisure vacations, built in a couple hours to chill every evening before either going to dinner or ordering in one night on our deck, which was maybe my favorite evening. This was a new way to vacation for me! Which I enjoyed! Art & I absolutely loved sitting on the deck off of our room (pictured above) with a cup of tea or glass of wine and looking over the lagoon, we tried to do it every day! Throwing in some recommendations just in case you need them: the best meal/restaurant we visited in this area was Salinas Beach Restaurant, we loved walking around and shopping at Milkwood Village, I don't know what specific oyster sunset cruise we did in Knysna but I would absolutely recommend that, The Turbine Hotel is where I'm drinking my pink G&T below, and I loved the Karusa winery! Next stop - Addo National Park, to see some animals! For next to nothing, we stayed in cottages (Art & I) and Rondavels (L&H) that backed up right against the park. 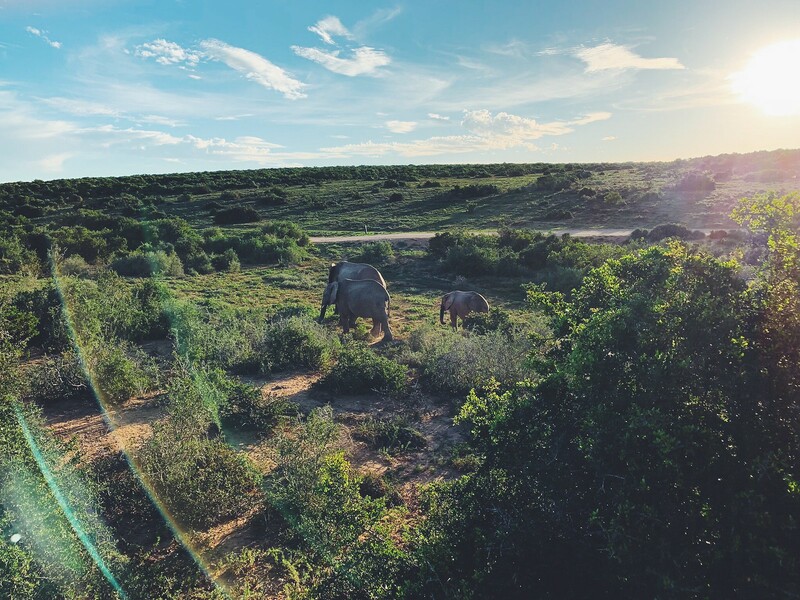 We could see Kudu, all kinds of birds, warthogs, and even elephants (with binoculars) right from our back deck which was so neat! To get up close to the good stuff, we did a sunset game drive through the park, which was spectacular. We drove through a pack of 20 or more elephants (you can only see a few in my photos, but there were LOTS) this was probably one of my favorite moments of the trip. They really are beautiful creatures. On the game drive we also saw zebras, lots more Kudu, a hyena which was very creepy, warthogs, and even a couple lions dozing before their evening meal (you can see them behind me below!) Special thanks to the team that made my safari photo dreams come true. 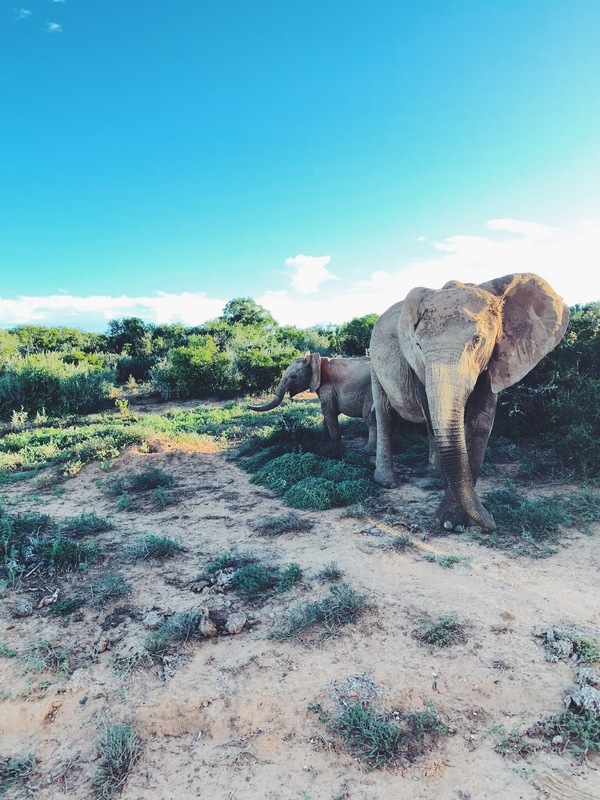 We were pretty isolated in Addo, so it was a quiet couple of days. All of our meals were at the one restaurant in the park, so I don't have any other recommendations. But doing the game drive was completely worth it! Ah, Cape Town. The evening we arrived (after an 8 hour drive that turned into 12 hours, still fun) I instantly had panicked feelings of "I want to spend so much more time here!!" 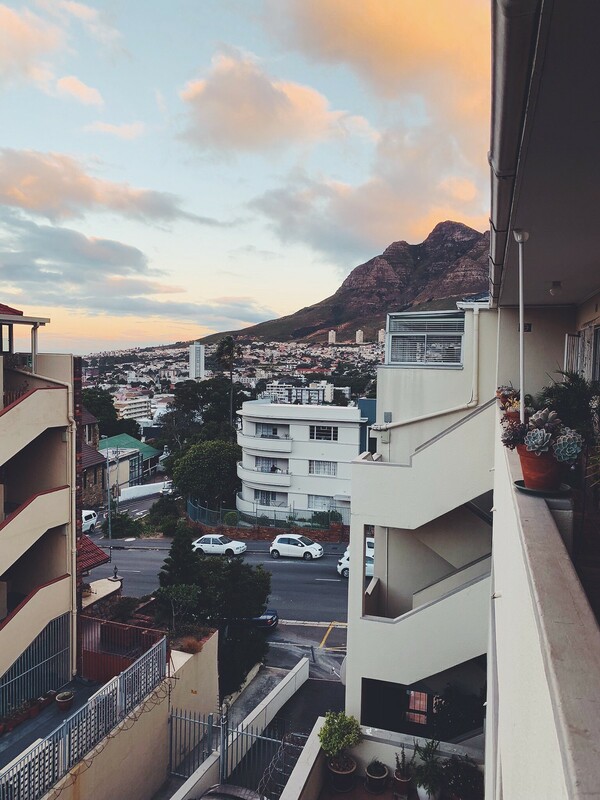 Cape Town is super hip and it's a little crazy how much it reminded me of San Francisco. 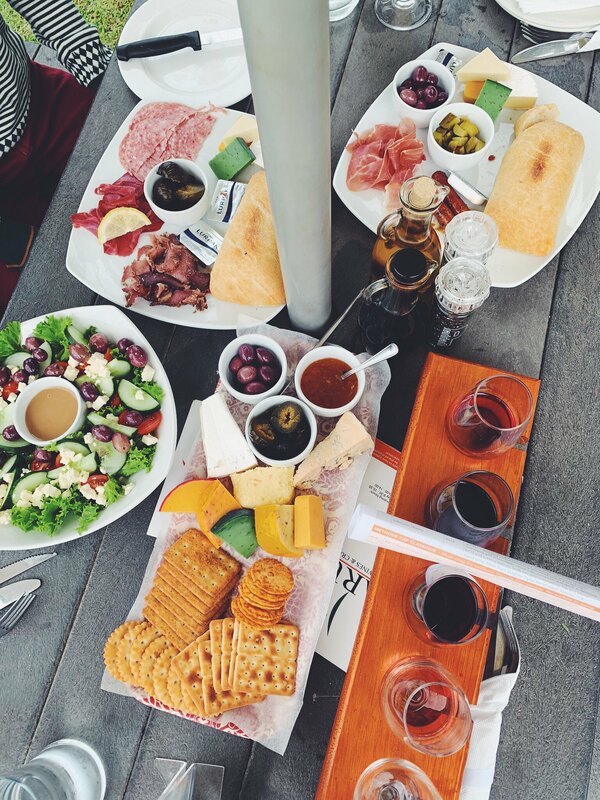 What with the foodie & bar scene, the climate, the way the city is built, and the intense fog, there were times walking around where I was convinced we were in San Francisco. The biggest difference being that everywhere you go, you are surrounded by these majestic rock formations. The star of the show being "Table Mountain", and the fog that often covers it is called "the tablecloth" which tickled me! Really we had one full mega Cape Town day that we maxed out, with the help of our guides! 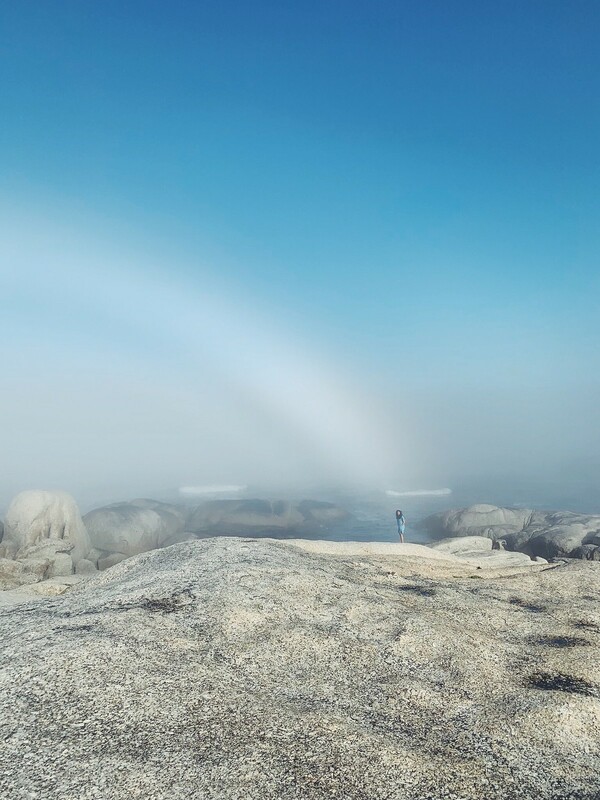 We started the day by getting coffee and a quick breakfast in Camps Bay, the ritzy coastal area, but honestly it was covered by some of the thickest fog I've ever seen, we couldn't even see the ocean! That's where I'm standing in the rainbow below. Then we took the Chapman's Peak drive to Hout Bay, and onto Kalk Bay, and Muizenberg. Unfortunately it was still pretty foggy, but still a beautiful drive. 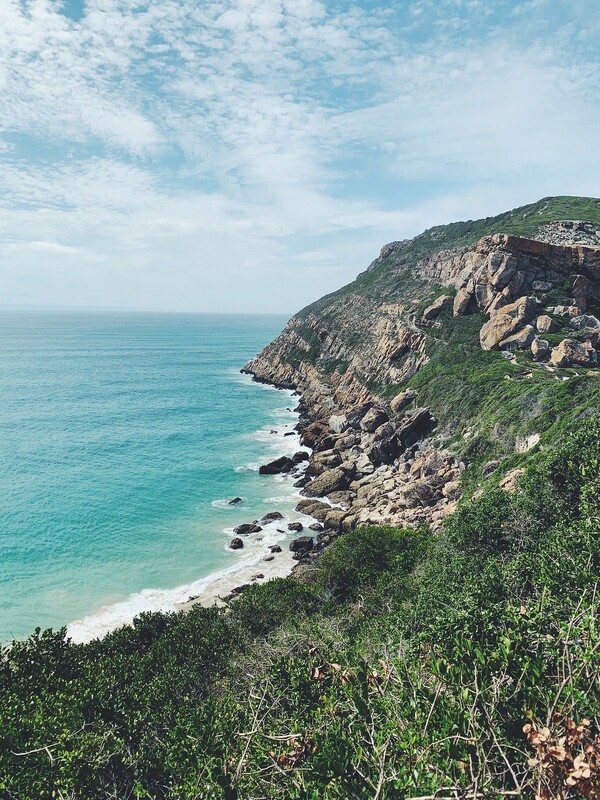 It was so fun exploring all the little coastal towns, each with their own vibe & charm. 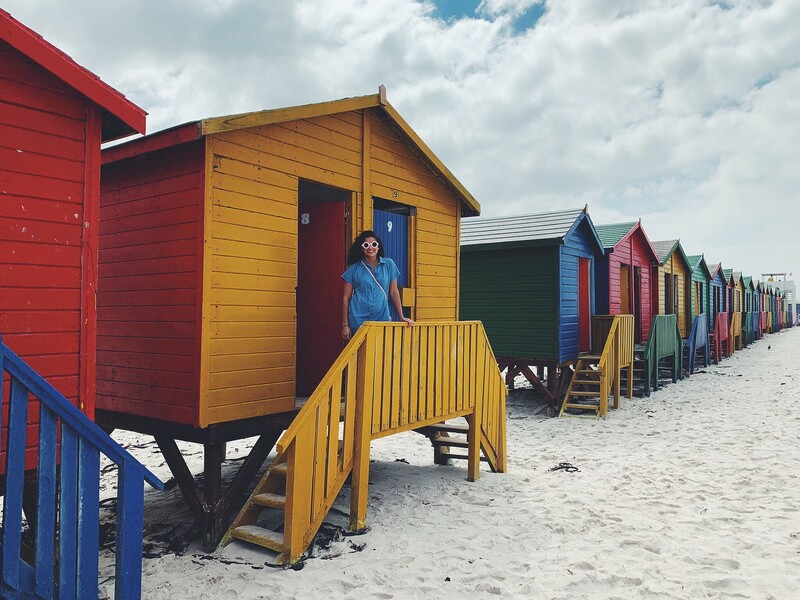 Our friends are partial to Muizenberg, so we spent some time walking around there (rainbow changing rooms on the beach below), had a parking lot Boerie (South African Bratwurst, basically) and then it was on to wine tasting! I won't go too much into that because I did in this post. But I will say it's a must MUST do in Cape Town! We did have a chill hour or so and then it was on to dinner (we went to this place where we tried a sampling of a bunch of different African foods) and truly we didn't last much longer than that after such a day. 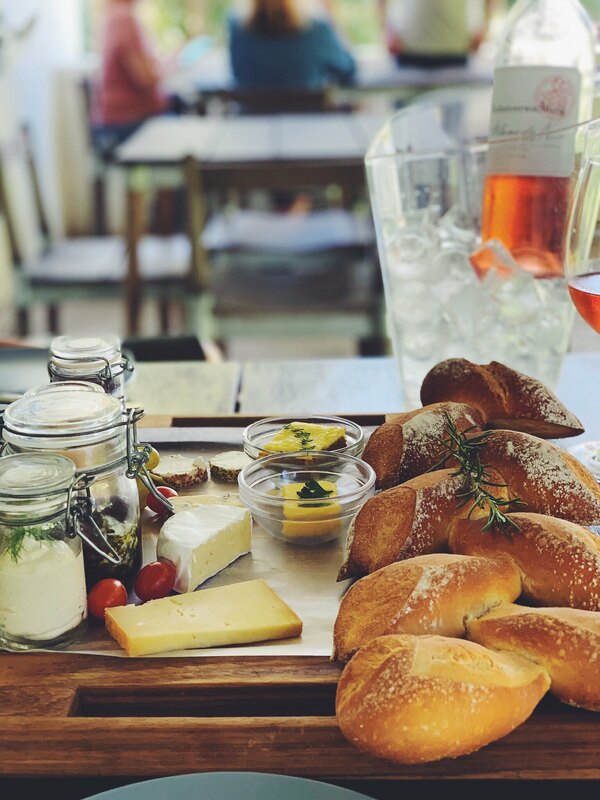 Recommendations: We loved Kloof Street House for a magical dinner, The Moveable Feast & The Gin Bar were two great bars we visited, I could have spent so much more time at the Old Biscuit Mill Market/the most amazing food court, more about all the wineries we visited here. We had a little Airbnb apartment (the photo of the street below) in the neighborhood of Gardens, which was perfect - so walkable, so many tucked away bars, shops, and restaurants we didn't even have time to go into! 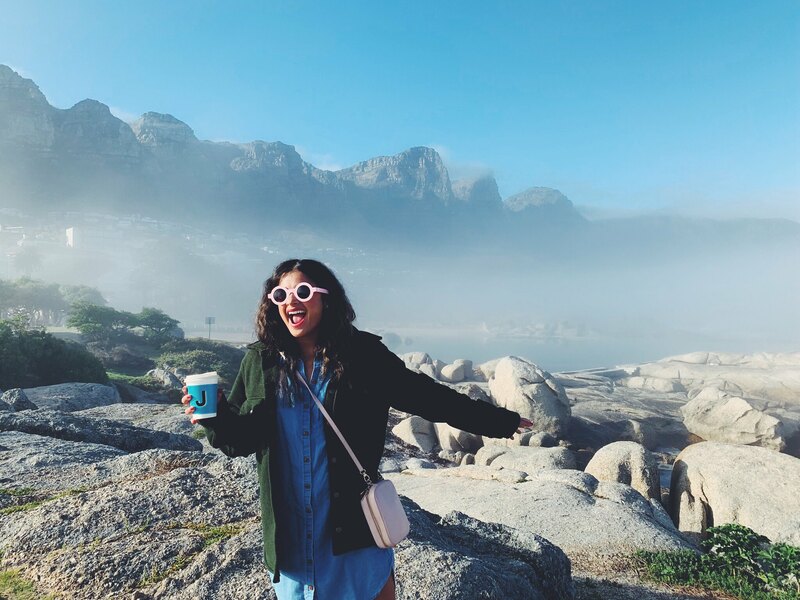 I can't wait to go back to Cape Town! Special thank you again to our friends Landon & Heather, who planned the entire amazing trip. We surprisingly never ran out of things to talk about, and when we were getting ready to leave, I said "I hope you guys aren't like PLEASE GET OUT OF HERE" because we never tired of hanging with them. Let me know if you have additional questions about anything we saw or did! 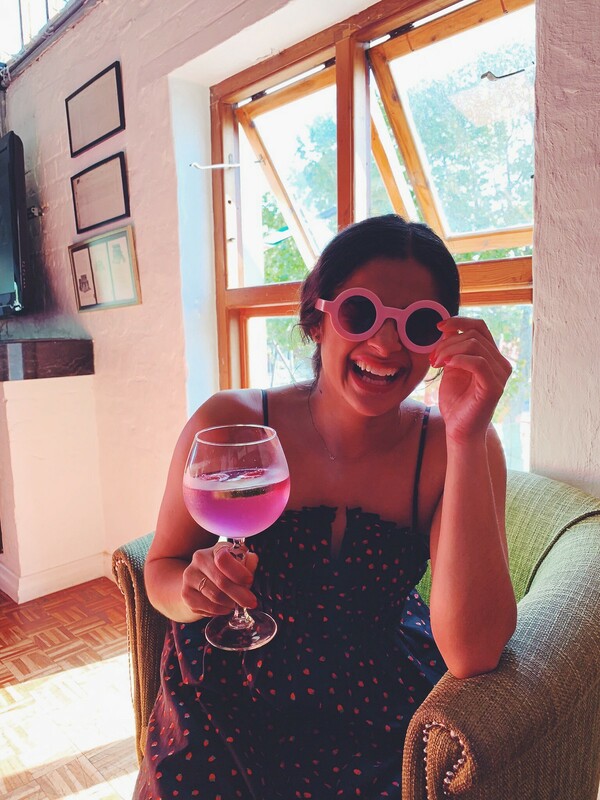 Loads more travel on Priya the Blog right here! 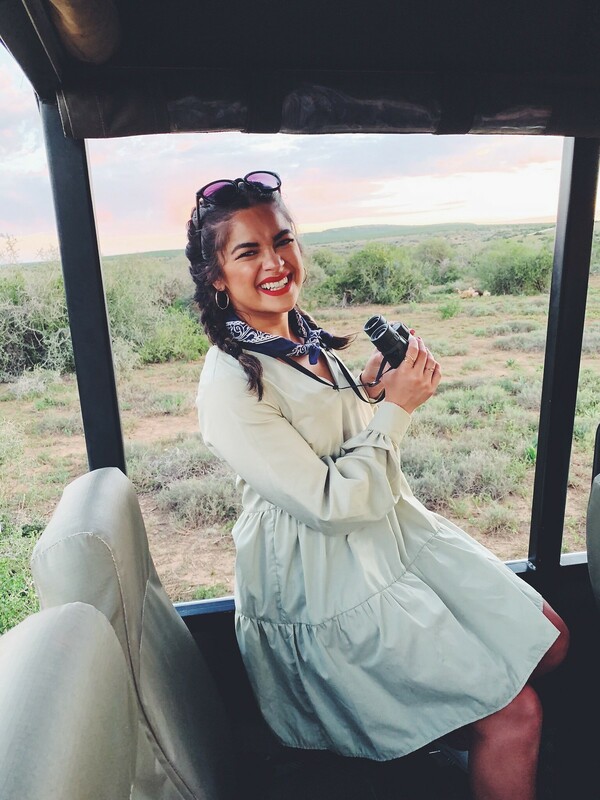 The Perfect South Africa Adventure Dress! Hi everyone! 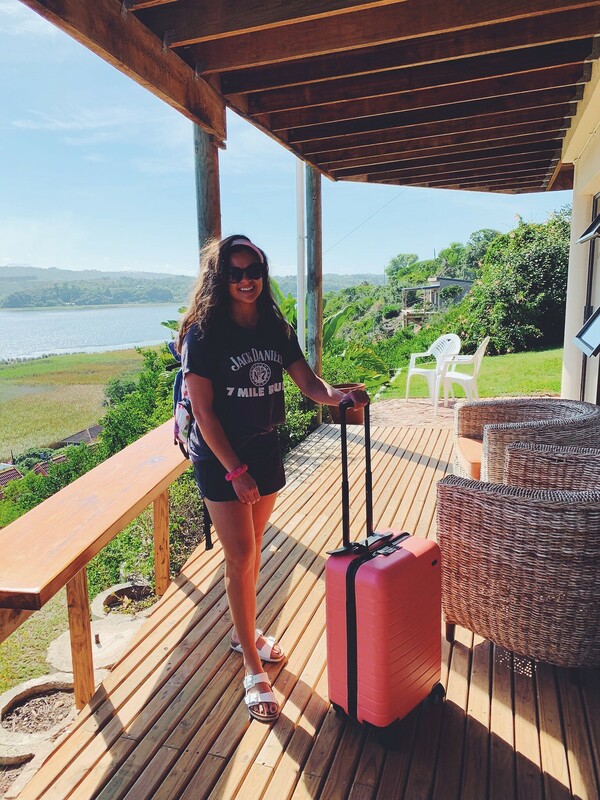 I am still very much getting my life (and this blog lol) back together after returning from South Africa on Sunday, from what was an incredible trip! I thought it'd be fun to start sharing some outfits, and through that, adventures, from our travels. I think I did a decent job packing, actually, this may be one of the few trips I've been on where I wore every single item in my suitcase as least once. Still, I stuck to my AWAY carry-on ($20 off your first purchase + I get $20 too for...another suitcase?) so I had to be savvy about not just filling it up with one-hit wonders. 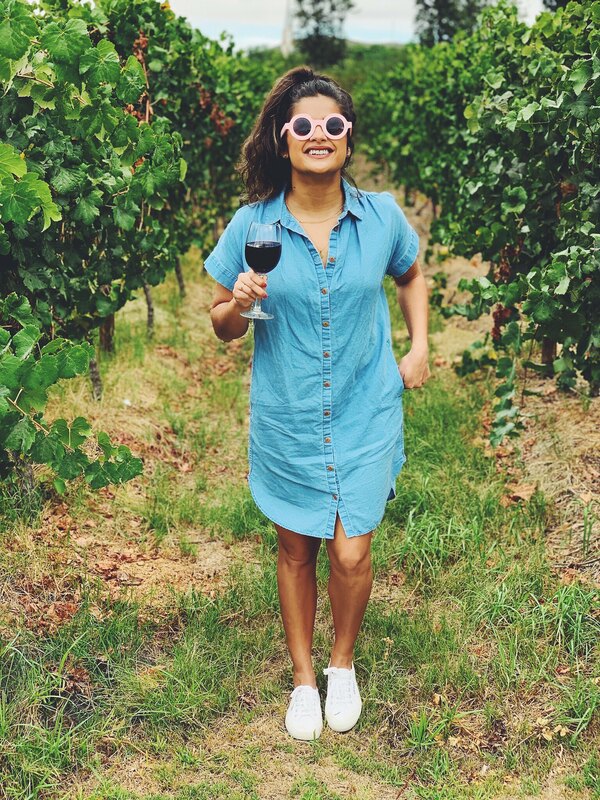 On my trip, I was hit with the startling realization that my Madewell Courier Shirtdress is THE ultimate travel dress. 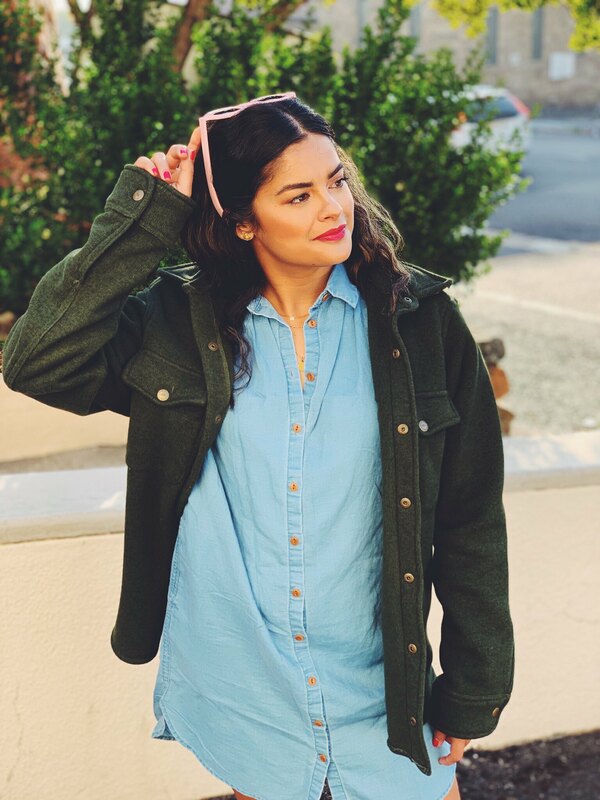 And if you don't believe me, read on to see me modeling it in a variety of vacation-situations, feeling appropriately & adorabley dressed and comfortable all the while! 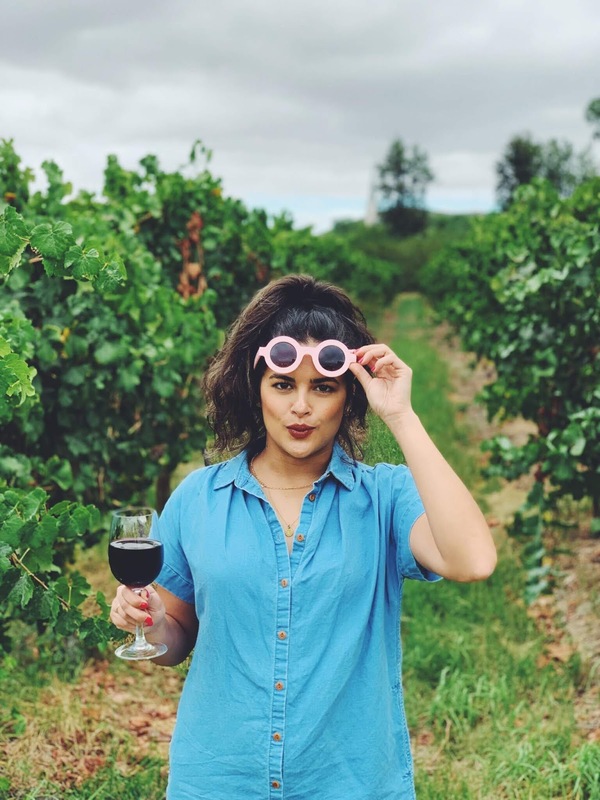 So when I say "adventures" what I really mean is "wine tasting." Which we did plenty of! 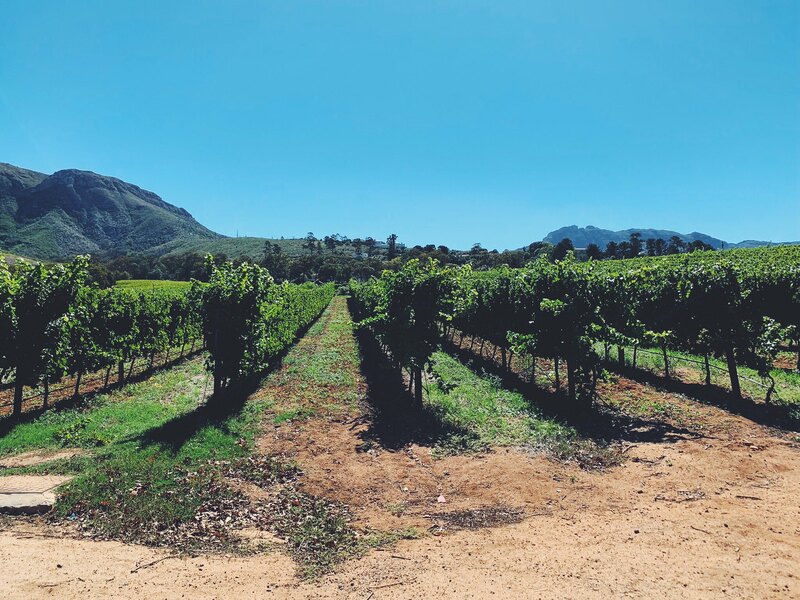 Did you know South Africa has an absolutely amazing wine growing and tasting scene? If I had to guess (I know nothing) it must have something to do with it having a very similar climate = growing conditions (?) to California wine country. Anyway our plans on ^ this ^ day were to go on a local cave tour, visit a few wineries & distilleries, and after a couple hours of downtime ("the Landon & Heather special") conclude with an anniversary dinner for our friends. This was the last day of the first part of our trip, based in a town called Wilderness. Also here's the spread we had at Karusa which is honestly more beautiful than any of the photos above. 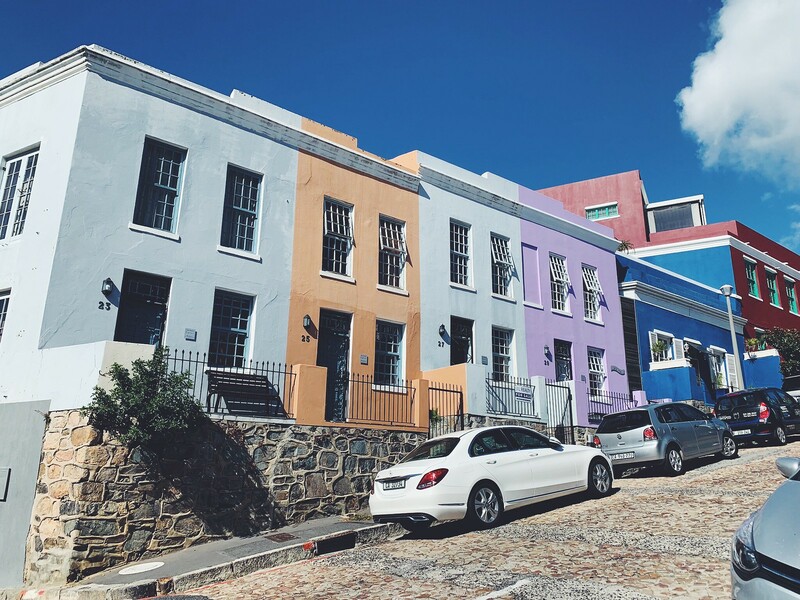 Our mega day in Cape Town consisted of a FULL day of exploring, including, three more wineries, each more gorgeous than the next, for real (I'll share pics later!) 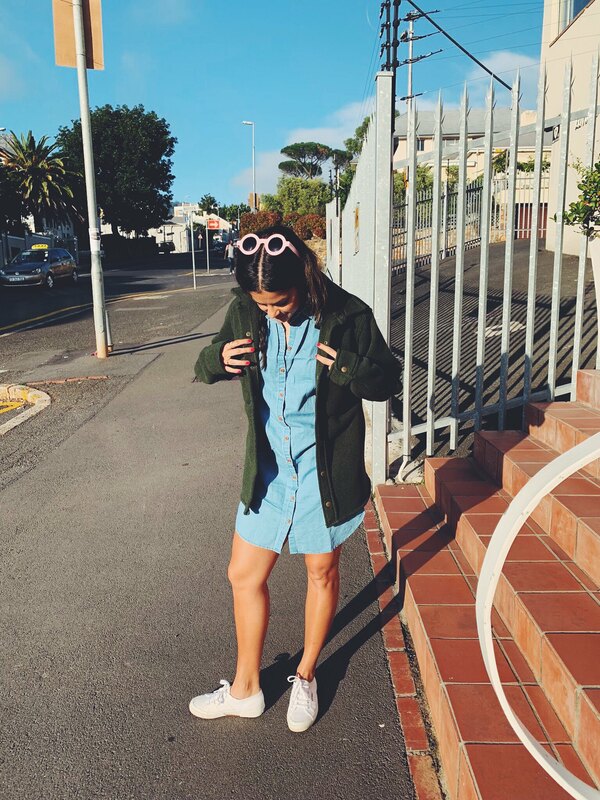 I needed something breezy and comfortable, but also cute, for this blog, you know ? My shirtdress was the only option. - Has a great weight, if that makes sense. The fabric is light and breezy, but not too thin or see-through. - Has POCKETS for vacation treasures! - Was folded into a suitcase and no of course I didn't iron it, and I don't think it looks terrible. - Is very comfortable (again! ), no riding up, no adjusting & I ate all this cheese! - Was durable! For climbing rocks, exploring caves, & loads of walking; it never felt too dainty for activity. 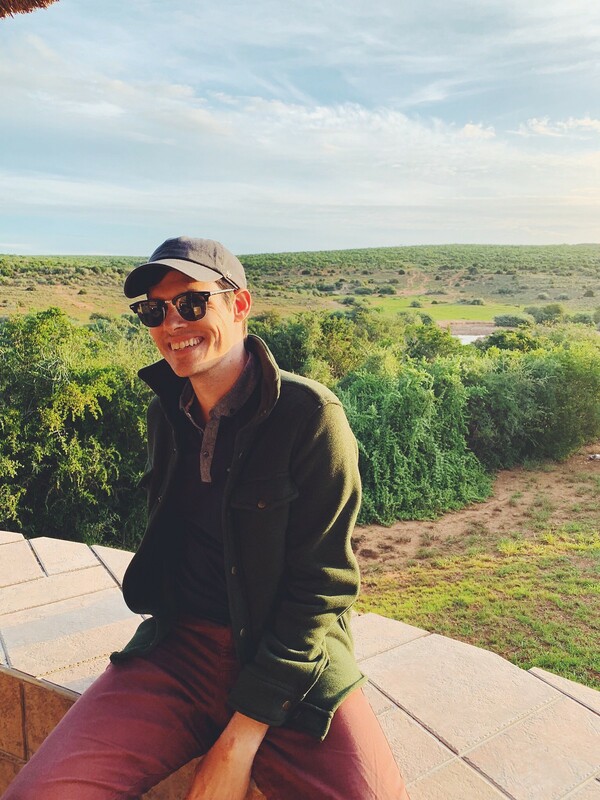 The happiest lil outfit photo you ever did see below, along with some of that South Africa wine scenery. More outfits, memories, safari animals & scenic vistas from South Africa to come!! 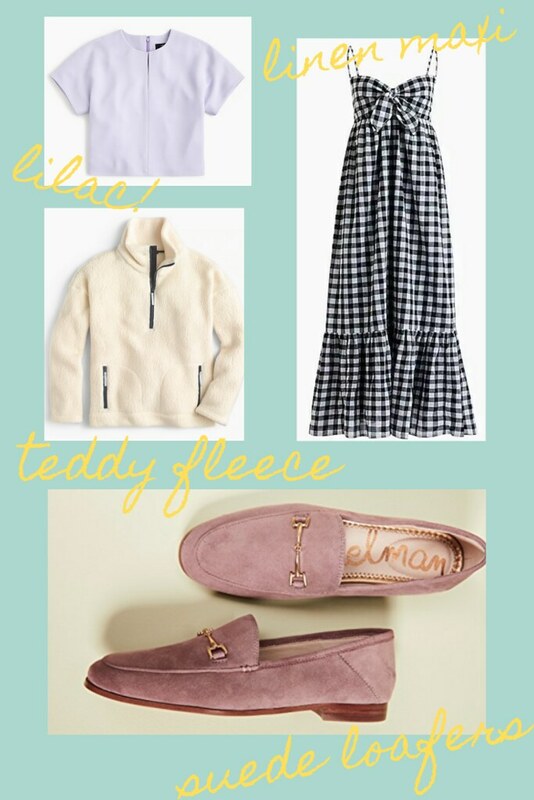 Spring is around the corner (if not already here) so I'm due a little pick-me-up, but honestly, this challenge is making me seriously overthink every shopping decision (as was the idea.) Do I take advantage of seasonal sales to buy something more Winter-y? Can I get as much wear out of shoes as a clothing item? Do I choose something that will transition well into Summer? Is a swimsuit a good choice? Or do I fully go for it by investing in a Spring 2019 trend?? I feel kinda paralyzed! Anyway here are all the ideas of what might be the one item I purchase this Spring. Also - before anyone comes for me: I am NOT a graphic designer, okay?! This wide leg cut is everywhere right now & could be a v trendy update to my pants game. But part of me is wondering if they will look horrible on me because I'm so short?? 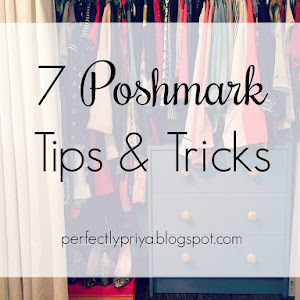 Also torn between a denim or a versatile olive...or a fun blush! 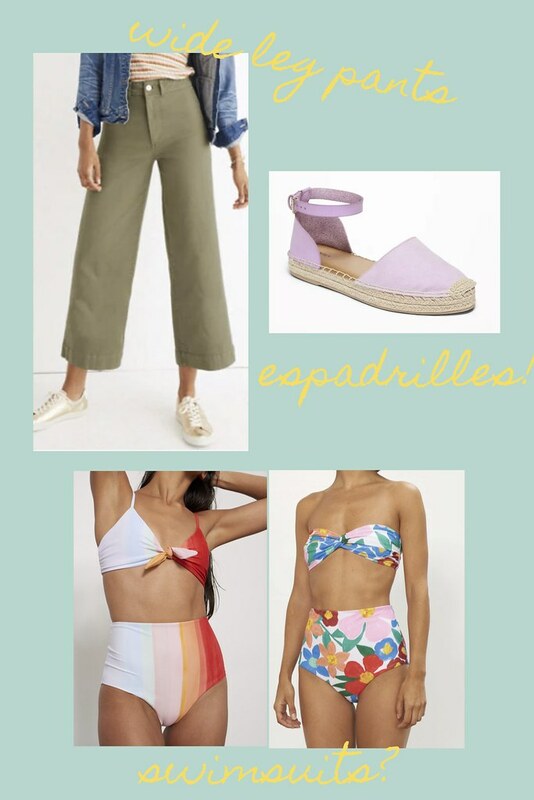 Espadrilles are one thing I have literally never wanted to wear - until now, for some reason? P.S. this exact pair is $19! I usually buy A new swimsuit/year, but when I already have plenty, is it worth my one purchase?? 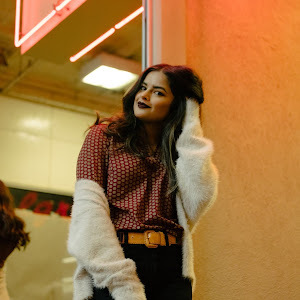 Even though there are S O many adorable new styles out right now? Mara Hoffman absolutely slays me time & time again, how good are both of these (subtle rainbow / floral)? Lilac is more about the color itself, though I do love this work appropriate crop top. 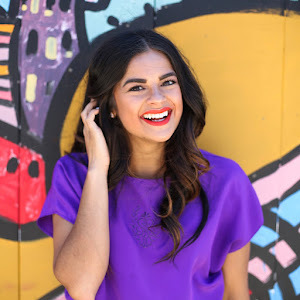 I've been seeing this sweet sister of purple (who, you already know I'm obsessed with) all over, and it's just darling! 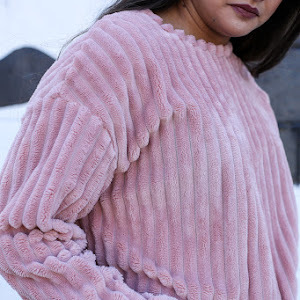 No one is more surprised than me that fleece jackets are this in style right now, but they're the Spring equivalent of the teddy coat that was THE item for Winter 2019. I have various fleeces, hoodies, and zip-ups (more than I can wear, honestly) and yet - I still really want an oversized white nubby fleece I can wear over leggings. 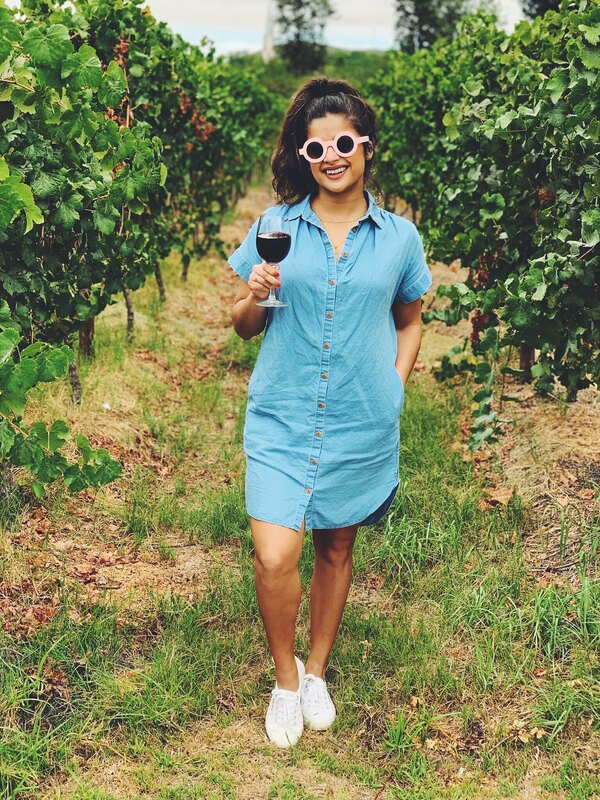 I've only recently gotten into maxi-style dresses, and never for warm weather, but a linen dress like this feels like EXACTLY what I want to wear this Summer. Already dreaming of packing this for Summer travels. If I'm being honest, this exact dress is probably what I'll buy. But black or pink? I have become such a loafer over flats girl! There's something really androgynous and effortless but fabulous about them. A jewel or blush toned pair could be the perfect fresh pick for Spring! Somehow forgot this entirely in the bottom section but I still have a rainbow sweater on my mind. The problem here is this will not translate to Summer, giving me about a couple months window to wear! 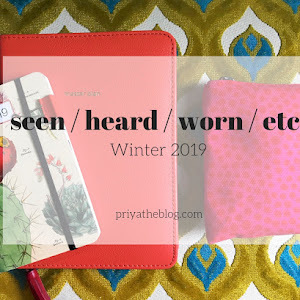 What are your must-haves for Spring 2019? What am I missing? If you're doing a no-buy challenge of any kind, I would love to hear from you! Let me know in the comments. All of these exact items + a TON more options for each linked in the widget below.